Good price on multi-fired 45 cases? One of our gun club members is getting out of the game and wants to sell some TZZ brass, which has been used, but not abused. I'd like to purchase some from him, but neither one of us has any clue on what a good price per hull would be. 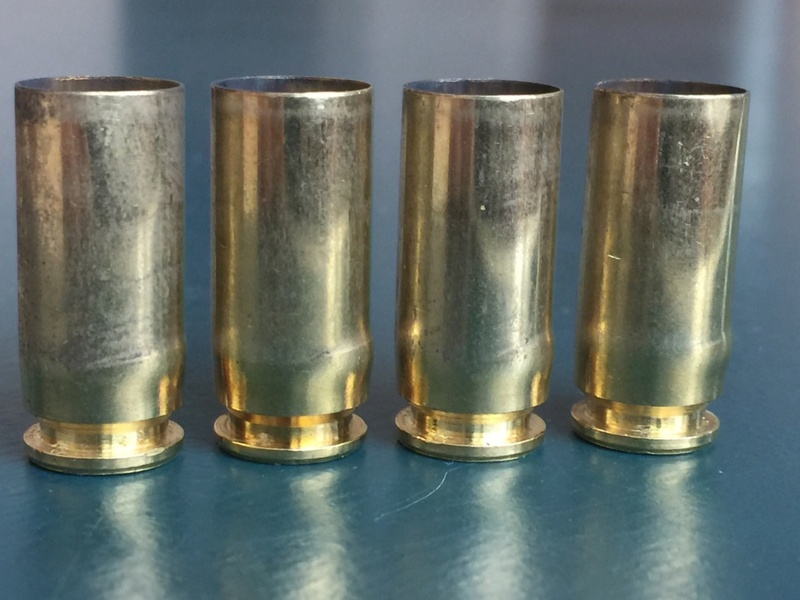 What is the going rate for multi-fired 45 brass? Re: Good price on multi-fired 45 cases? $.05 a case is a start. zanemoseley wrote: $.05 a case is a start. That's what I have charged when getting rid of some excess brass to other club members. These guys get $40/ 1000. So maybe 35 per 1000? Are there more or less desirable head stamps for brass cartridges? I like S&B, Remington and Winchester for target loads, and nickel plated for tactical / defensive +P type loads. I might be able to help procuring brass for 45 ACP, or for that matter for other calibers as well, on quite favorable terms. Range, where I shoot, cleans and mostly scraps brass through local recyclers at about $1.50 per pound. Let me know, and I'll be happy to send you contact info. I sold tens of thousands once fired Federal, WW, TZZ and IMI 45 brass for a nickel a piece earlier this year. I shipped over 50 USPS single rate medium boxes of 38 and 45 brass. I just bought 1k Winchester once fired for 50 bucks. PhotoEscape wrote: Are there more or less desirable head stamps for brass cartridges? 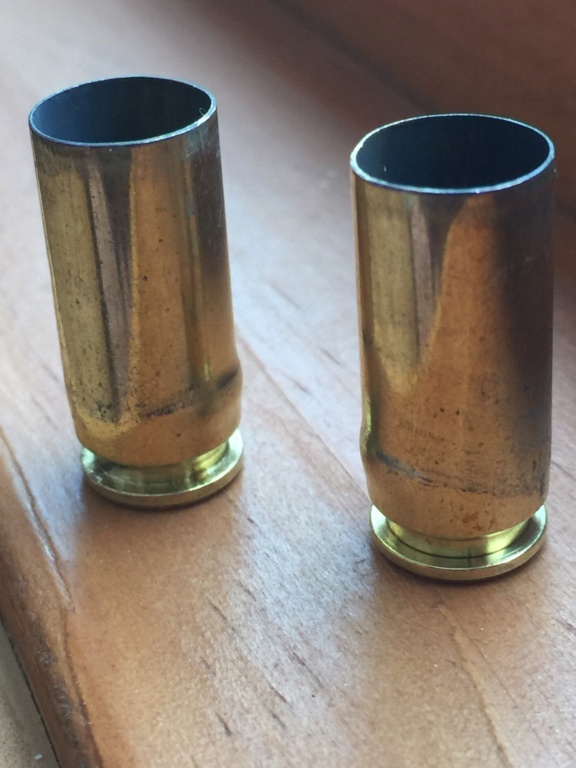 Most bullseye shooters aren't going to want range brass. Too many Glocks. What does Glock fired brass do? I've been firing a lot of range scrap (Winchester brass only) and haven't any problems yet... maybe I've been lucky? I don't know. I only ask because I've heard people complain about the Glock fired brass before but I didn't get an explanation of the issues. Tim:H11 wrote: What does Glock fired brass do? I've been firing a lot of range scrap (Winchester brass only) and haven't any problems yet... maybe I've been lucky? I don't know. I only ask because I've heard people complain about the Glock fired brass before but I didn't get an explanation of the issues. If the Glock brass was from anything but a soft load quite often there will be a slight bulge where the feed ramp is due to lack of support. Their chambers were also a little on the loose side too. A full length resizing die and a good case lube eliminated any issues. I'm not sure the newer Gen 3 or 4 Glocks have this problem. I do a lot of reloading. In many calibers as well. And according to my wife, I am a perfectionist. You probably have seen treads about my funnels for reloading 32 Calibers, - that is my gig, as I don't accept mediocrity of several components on Dillon's (and Jason Hornady's too) presses. So answering John Bickar's comment about "too many Glocks" I can state that only difference I've seen is in the way how Glocks handle 40 S&W and 10mm. And that comes from very specific way Glock designed barrels for these two rounds. I shoot a lot of 10mm, and absolutely in love with this caliber. I can immediately identify brass, that shut out of Glocks by the infamous bulge (I call it brass pregnancy) in lower portion of the case. Even Starline and Hornady brass, that is known for its resilience exhibit signs of being shut out of Glock 20/29. Glock 40 is less prone for the problem, or based on one that I own, I even venture to say, it is free of it. Leaving aside above mentioned two calibers, that have very close resemblance, I have never seen bulged brass coming out of Glocks in other calibers, and specifically in 9mm or 45ACP. So, I here tend to agree with Tim:H11 - brass shut out of Glock in 45 ACP is indistinguishable from brass fired from other platforms. As such brass that carries same head stamp, i.e. Winchester has same properties (BTW - there are couple of very distinguishable Winchester head stamped cases, that have noticeable difference in brass properties, - can illustrate this statement with pictures) regardless of what gun it was fired from. The only difference I can find is based on type of the barrel's rifling, i.e. old Springfield's Omegas that have Peter Stahl's (love this platform in 10mm) polygonal (not to be confused with Glock barrels, that aren't true polygonal regardless of Glock's propaganda) barrels or Italian Tanfoglios in 45 ACP might fire form tiny portion of the case differently (or H&K P7s in 9mm), - and that is gone upon case resizing. Thus, IMO there is nothing wrong with "too many Glocks", unless you are after 40 S&W or 10mm brass. The real issue with brass fired in Glocks is primarily in 40 S&W. Others may have the issue to some extent. 9mm, 45, can USUALLY be resized and used normally. The 40s require “bulge busting” and the best approach appears to be the setup from Redding. Here are couple of examples - these are 10mm cases with A USA (Armscor) head stamp. Yes, I second to Wobbley, - Redding's carbide push through bulge buster is the best available on the market. Unfortunately, "pregnancy" of these cases is in such advanced stage, that even after pushing them through (If it is even possible, - I managed to crack carbide ring on my buster), they will have kind of C-section line, where bulge is. I would not recommend using such cases, as there is danger of splitting at the line. I'm not much on using brass that is fired multi (many) times in other pistols. The brass would be worth nothing to me.